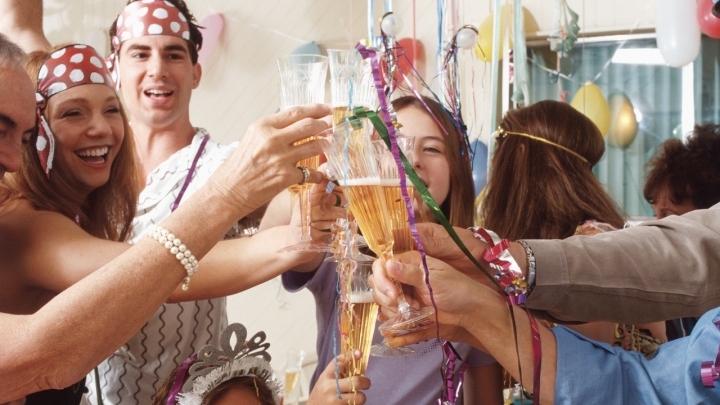 (RxWiki News) Pre-partying is common among youths before they head to the bar. But it can lead to double the alcohol consumption before anyone realizes they’ve had too much. A recent study used a new technique to follow college kids as they partied on the weekends. The study’s findings showed risky things were more likely to happen on pre-drinking nights. At least one adverse outcome occurred on 24 percent of pre-drinking nights, 14 percent of bar-only drinking nights and 12 percent of no-bar drinking nights. "Know your limits and stick to them." Florian Labhart, MA, researcher at Addiction Switzerland, led investigations into pre-drinking dangers. For the study, 183 young adult men and women participated in Internet and cell phone assessments for five weeks' worth of Thursday-Saturday evenings from 5PM till dawn. This group was 23 years of age on average and recruited from three universities in Switzerland. A newly developed Internet-based Cellphone-optimized Assessment Technique (ICAT) was used to gather data. The assessments were designed to track alcohol consumption and location at six points throughout the evenings in question. A total of 7,828 assessments from 1,441 evenings were used. Researchers found that on average, the young adults in the study drank 7.1 drinks on nights when they drank at home before going to a bar. An average of 4.2 drinks were consumed at bars when there was no pre-drinking at home beforehand. An average of 4.3 drinks were consumed on nights where no bar was visited. Researchers then compared these averages to any adverse outcomes. Authors recommended education programs and developing prevention methods to reduce this risky behavior of over drinking. This study was published in November in Alcoholism: Clinical & Experimental Research. No financial information was given and no conflicts of interest were reported.